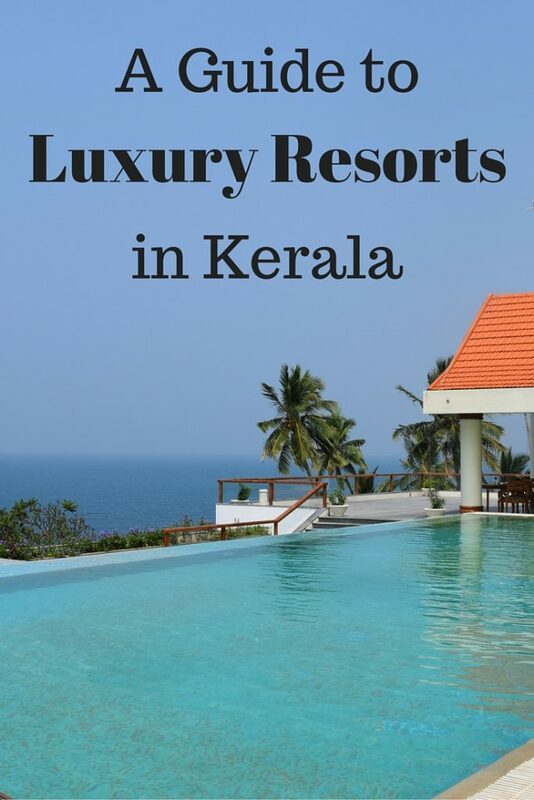 *Disclaimer: I stayed at these resorts as a guest of Kerala Tourism in exchange for honest reviews. 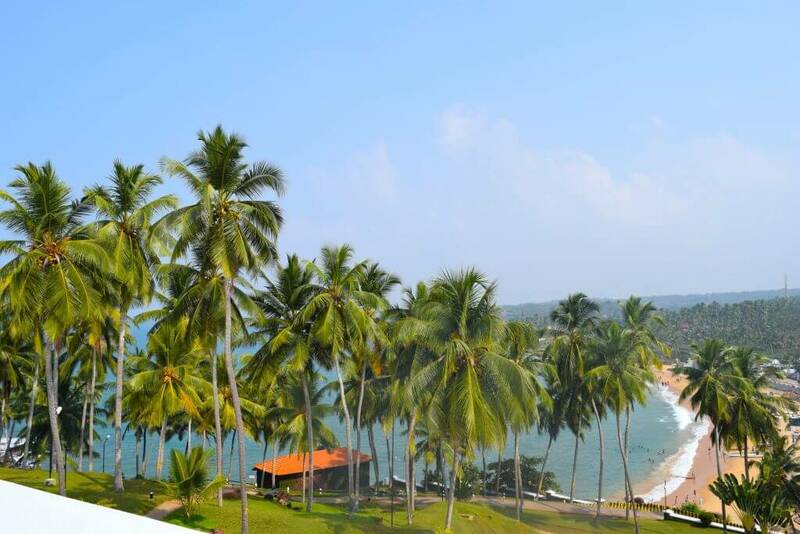 If you’re looking for a bit of luxury in India, Kerala is the perfect place for you! 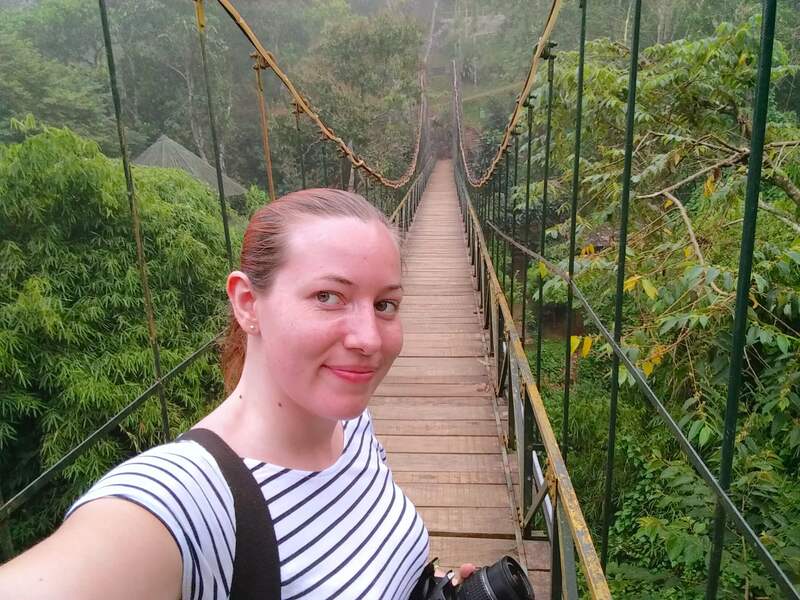 I was lucky to recently be part of the Kerala Blog Express which meant I got shown around this beautiful state and stayed in some of the best hotels and resorts that Kerala has to offer. Below is a list of the ones I was super impressed with. This was easily my favourite resort in Kerala and one I’m sure I will be returning to in the future. 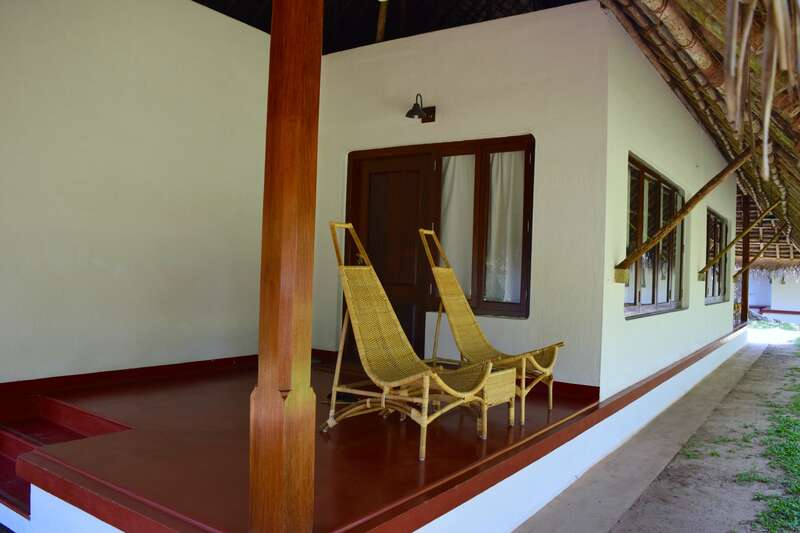 Situated in Wayanad, they offer deluxe rooms, suites, cottages but I was lucky enough to be staying in one of the fantastic pool villas. Yes, I was staying in this beautiful villa that had its own pool! 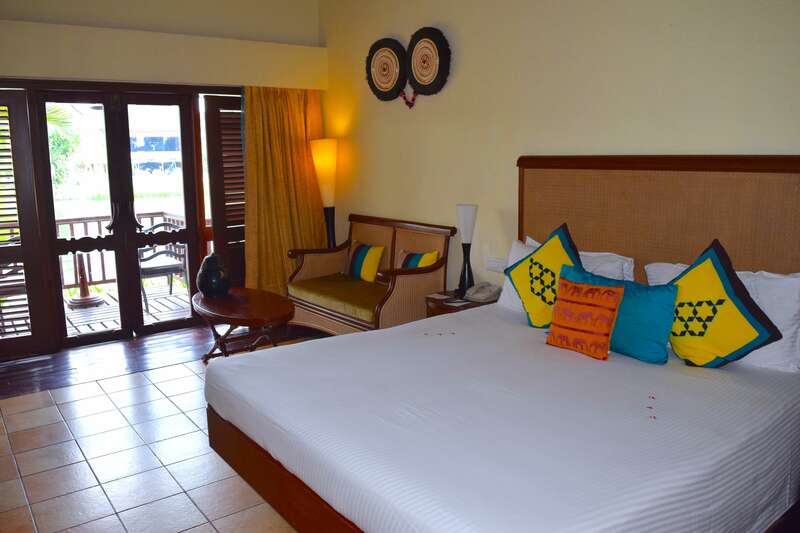 As well as your own pool you get 2 stunning rooms, a sitting area, jacuzzi, a treadmill and a big flat screen tv in both the bedrooms. 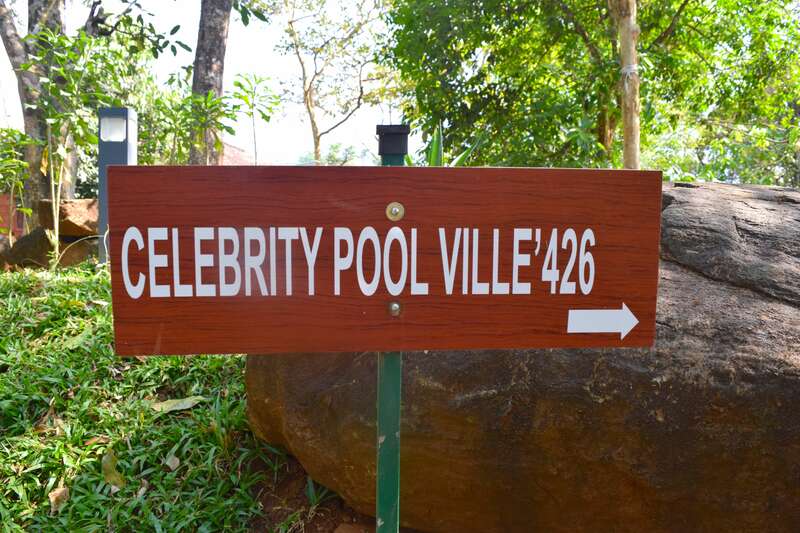 I was staying in Celebrity Ville and I certainly felt like a celebrity! 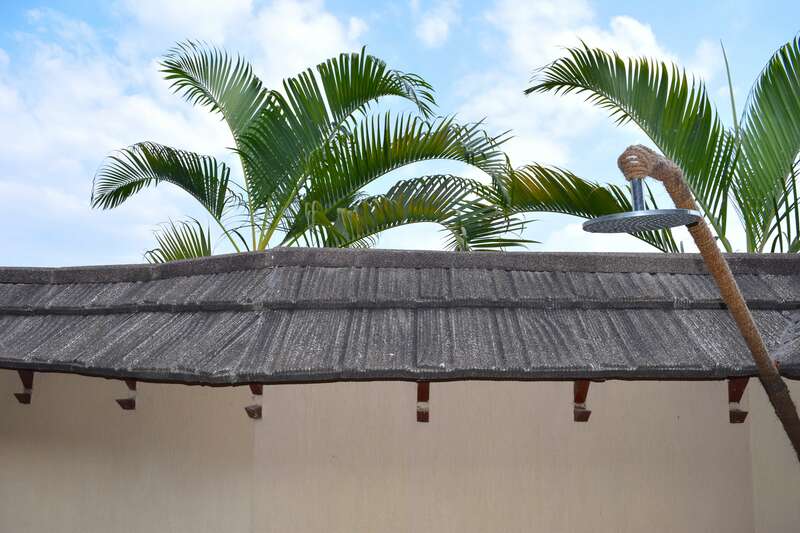 While the villa is amazing, you won’t want to be in there the whole time as the resort has many fantastic facilities on offer such as zip lining, archery, an outside pool, yoga, a even a manmade waterfall. My favourite facility on offer though was the spa! I had my first Ayurvedic massage here and it was simply amazing. You can read more about my massage here. Another thing I love about this resort is how close you are to nature here. 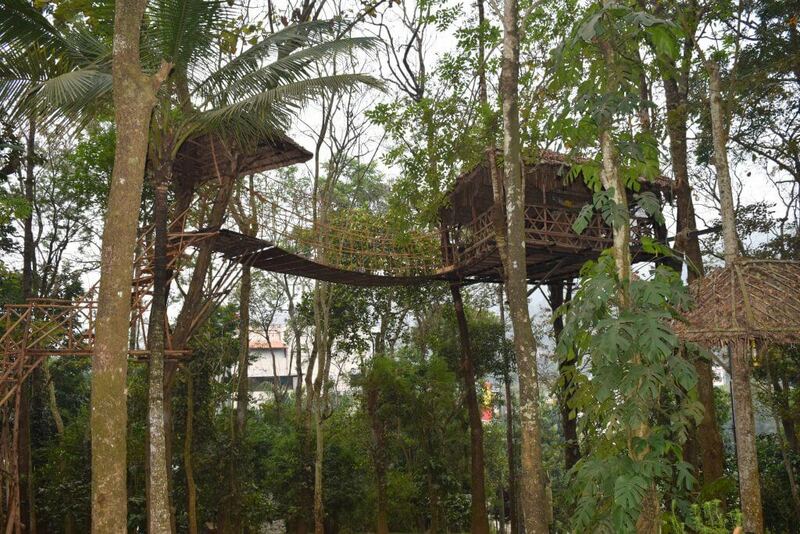 The resort is surrounded by trees so it’s a great place to get away from the busy cities. You even have monkeys climbing around! 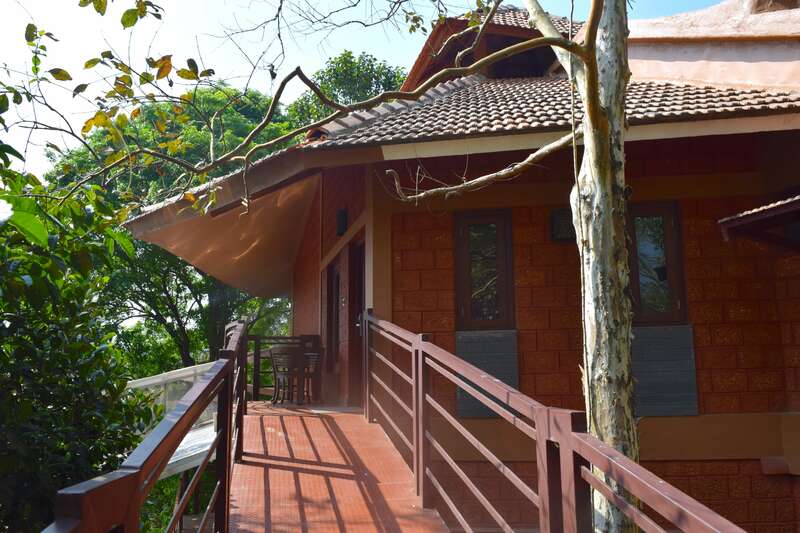 If being surrounded by nature is what you like then another place to consider is Greenwoods Resort located in Thekkady. 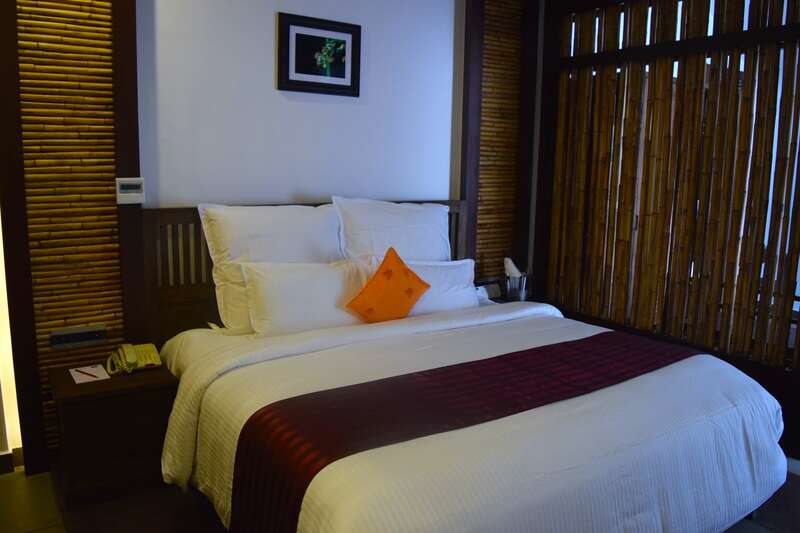 The staff here were so friendly and would do anything to keep their guests happy. 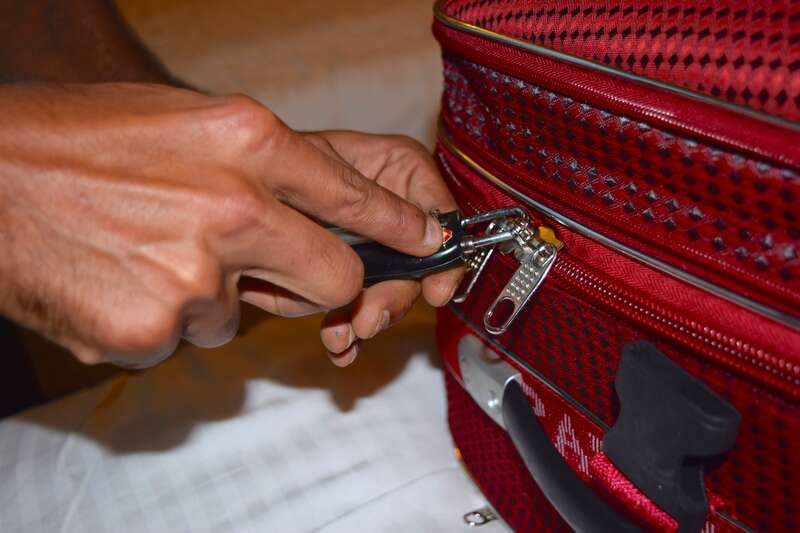 I had an awkward situation where the lock on my luggage had broke and the guy on reception was so helpful and had a technician on hand to break into my suitcase. This resort is really great if you’re looking for activities to keep you busy as they have so much to offer even a plant a tree programme! 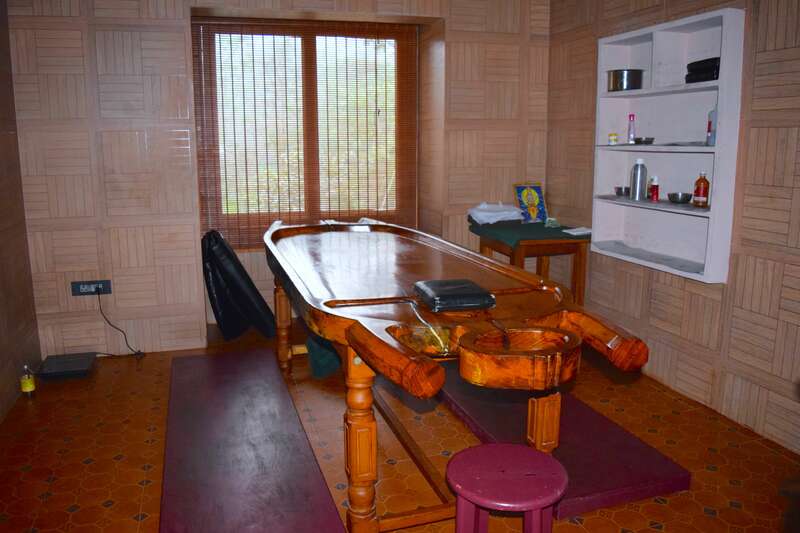 They also offer live music, a games room, nature walks and my personal favourite, a sari demonstration. 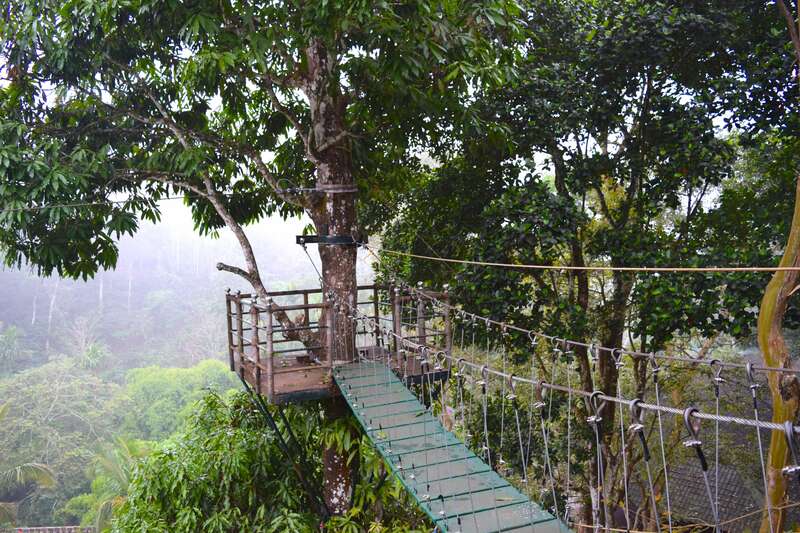 If like me you are a big kid at heart you will love their treehouse coffee shop where you can enjoy your morning coffee with a stunning view of the resort. Is there any better way of starting your day? 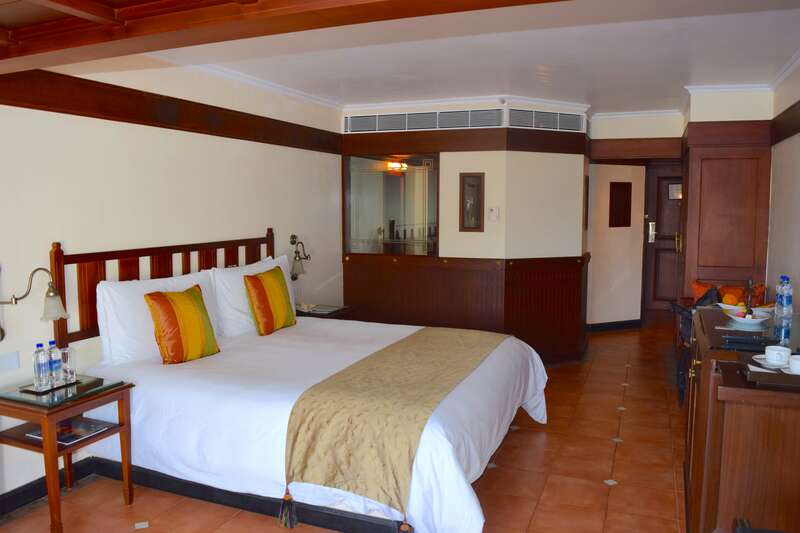 This was the first hotel I stayed at in Kerala. I loved it so much I didn’t want to leave! 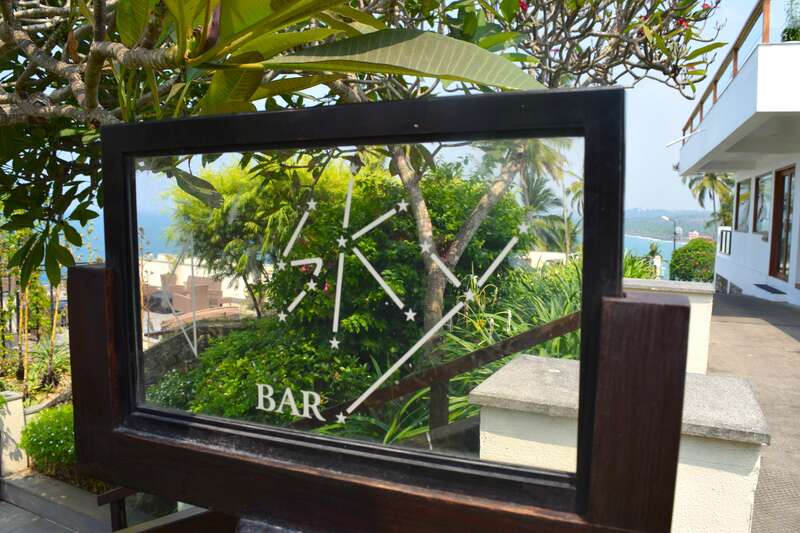 Situated above a beach in Kovalam it’s the perfect place for a relaxing break. It’s always a great feeling to wake up, look out the window and see a pristine beach. 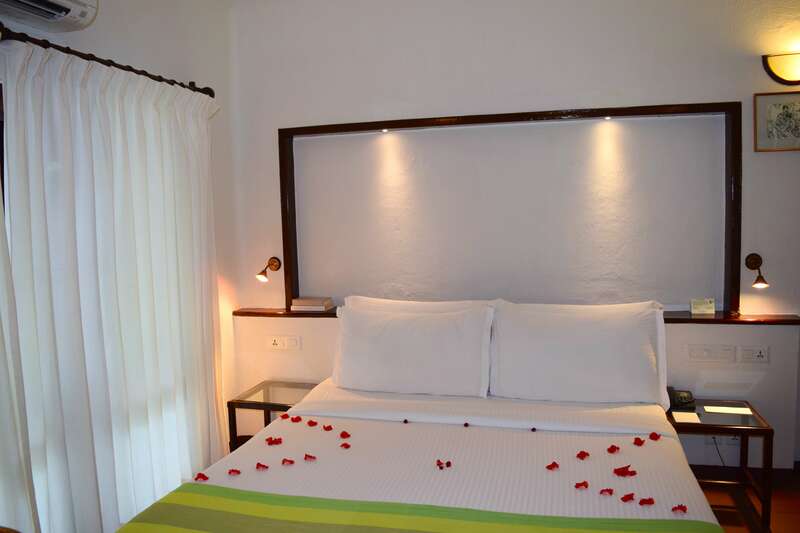 This is a perfect place to go for a romantic getaway. I think of all the place we stayed, this hotel served the best food and was one of the few places to offer a few western options so perfect for those who don’t want to eat Indian food everyday. We even had the chef prepare some food for us before taking us around the buffet to explain what everything was. 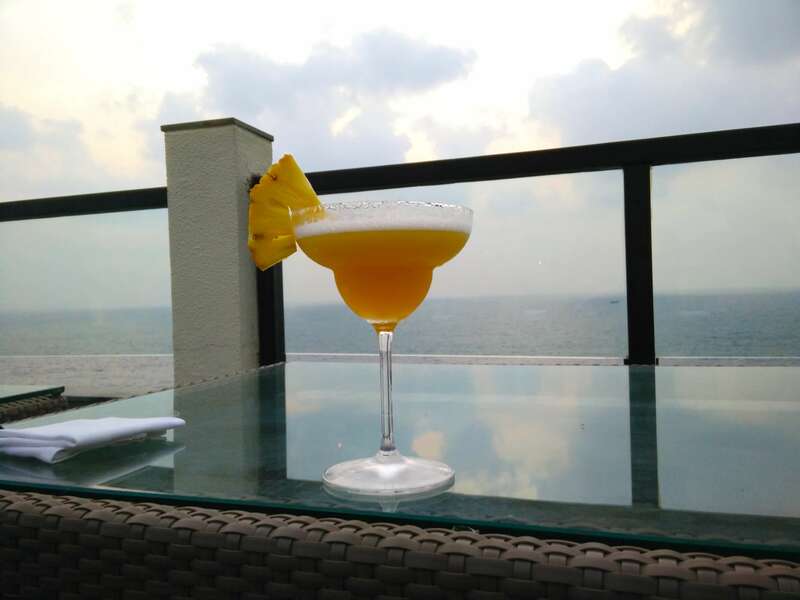 As well as good food, they also have a sky bar which is just the perfect place to go and enjoy a cocktail while watching the sunset. However, the best thing at this hotel has got to be the infinity pool. I’ve never stayed anywhere with a pool this amazing! It really was paradise. 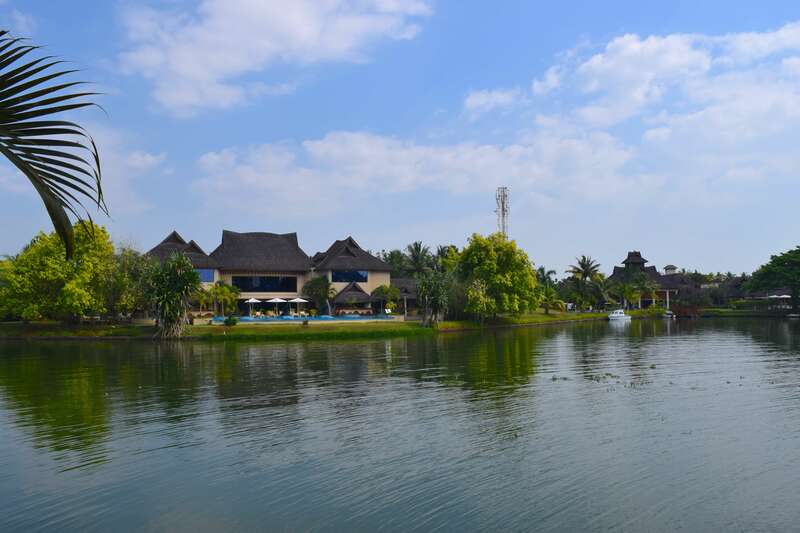 This luxury resort is the only one we stayed at that had its own lake. When you sit out on the balcony of your cottage you get sucked in to the tranquility of the lake view. This place also felt like paradise by the shower on the (private) balcony of the cottage. You can shower outside with the sun shining on you. It’s like something out of a movie! There’s also a massive inside bathroom with a tub and a shower if you don’t want to shower outside. 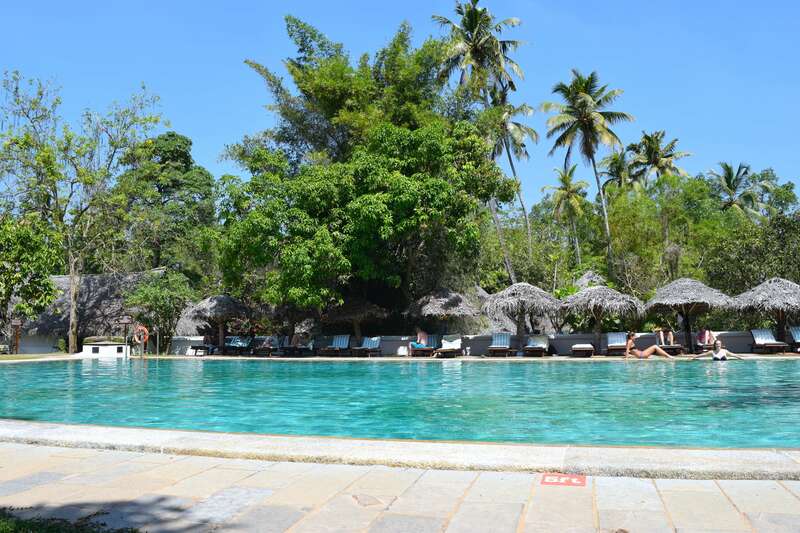 The pool here is also stunning and has some elephant fountains which I absolutely loved! With that and the view from the lake, it’s one of the most luxuries swims I had in Kerala! While this is the only resort on the list I didn’t stay at, I was so impressed with my brief visit I felt it needed to be included. Many of the hotels and resorts had welcomed us for lunch but this place actually gave us a room to use so we could change and let us hang out by the pool for a few hours before lunch so it gave us time to see what the place was like and I think all of us wanted to spend the night! 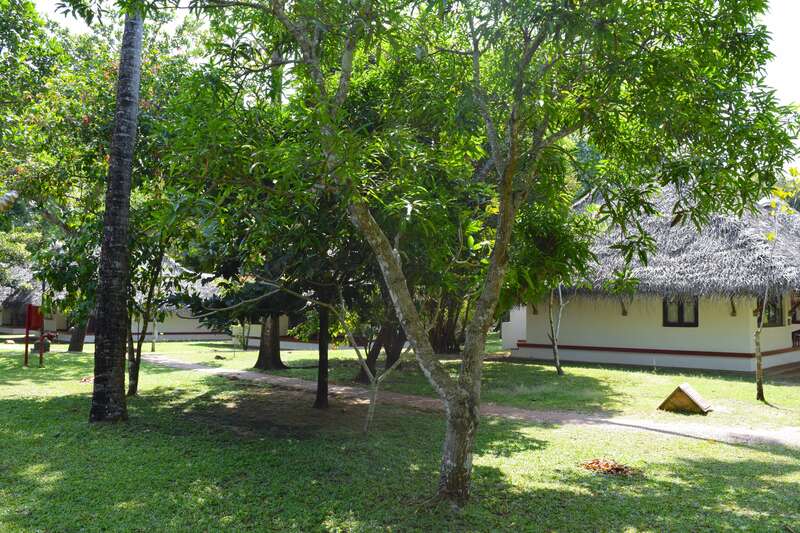 This resort is full of huts surrounded by trees and herb gardens and is so peaceful to walk around. 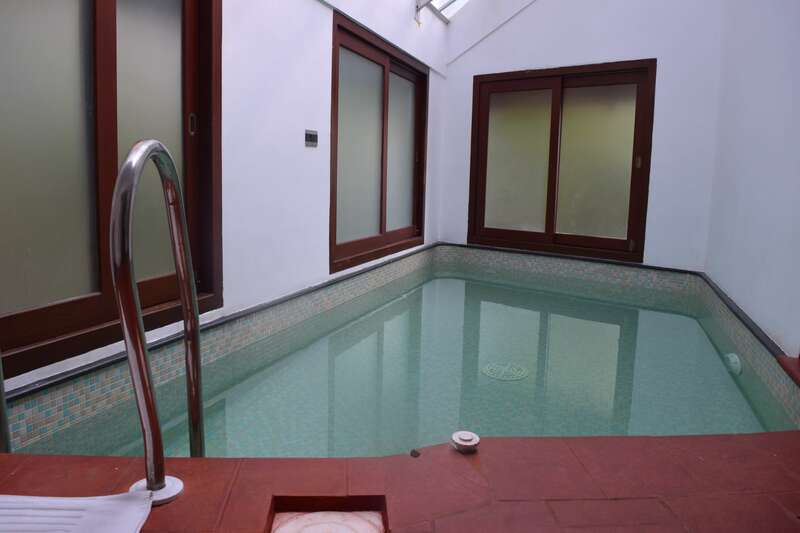 Some of the huts even come with a private pool! Although at the main pool there is a hut to provide food and cocktails. 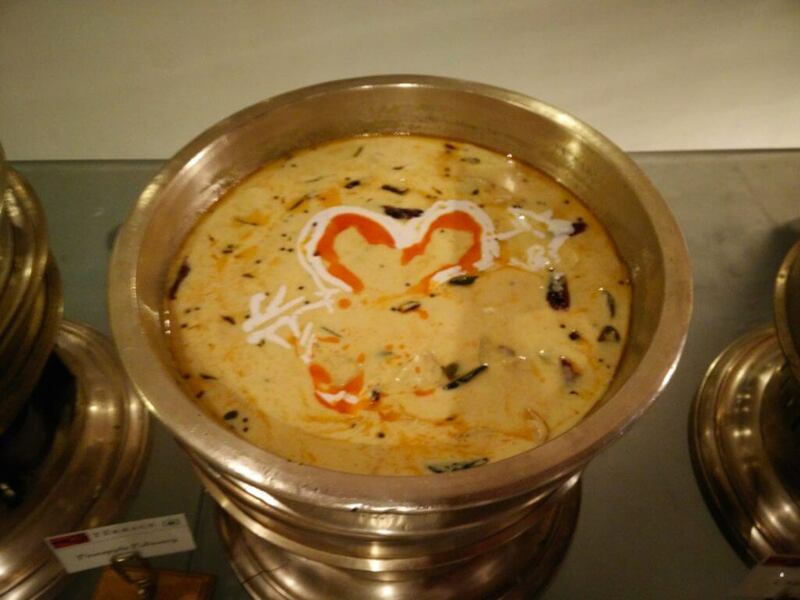 The food at this resort is also worth mentioning. I think I had some of the best fish here from the fish chef who personally grills the fish for you. It was amazing! 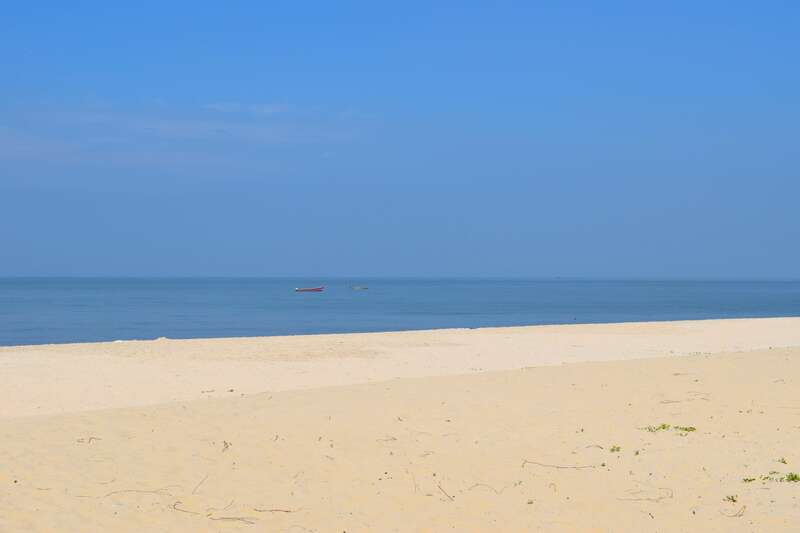 If you’re a lover of beaches this resort may be the one for you as it’s connected to a stunning sandy beach. Or if you want to relax in the shade there are some nice hammocks nearby. 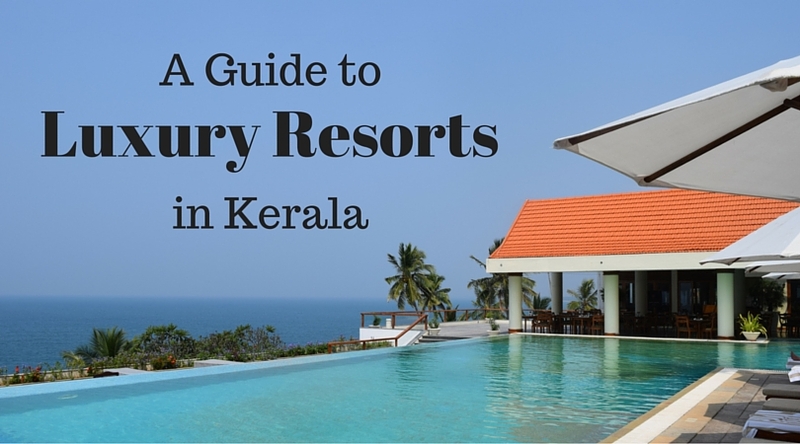 There you have it, some of the most stunning resorts in Kerala. Which resort would you like to stay at? Please note that while I was working with Kerala Tourism, the reviews and experiences written about in this post are 100% genuine. I value you guys too much to lie to you. This blog would be nothing without you and your continued support! 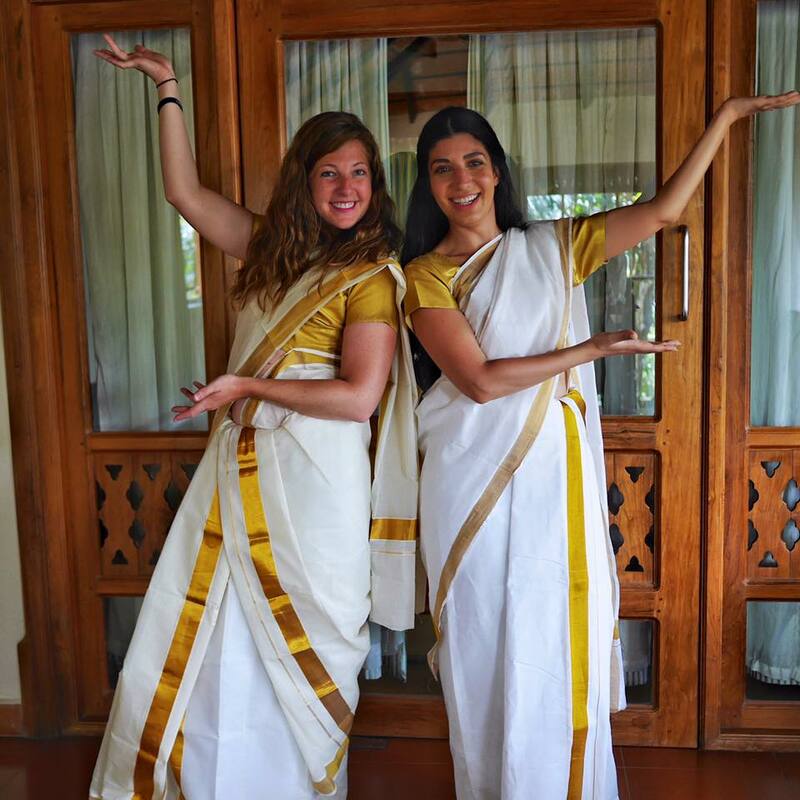 Kerala is awesome Claire. 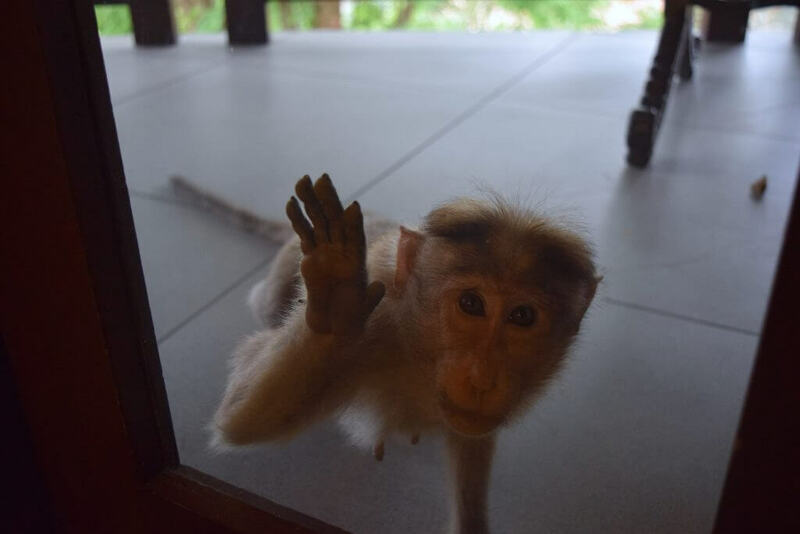 Plus you cannot beat monkeys hanging around too. Win-win scenario. 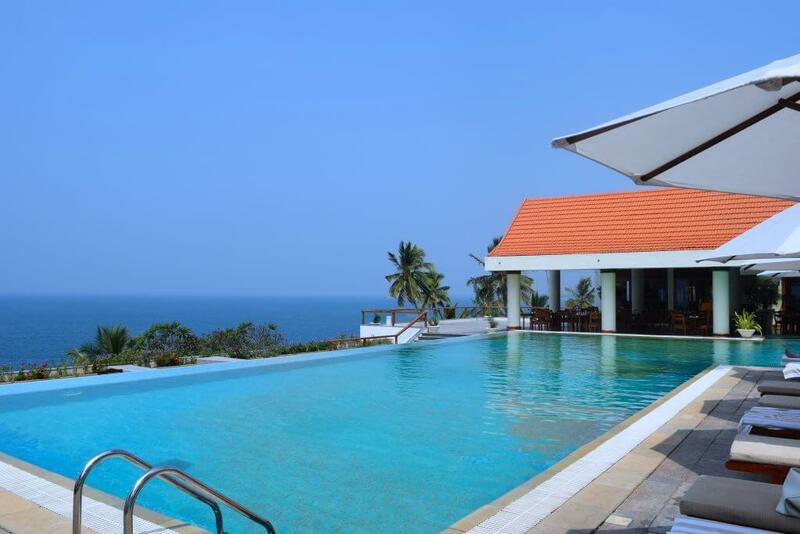 We enjoyed our time in Kovalam; what a blast. So many great options! I’m glad you even featured one you didn’t stay at because it looked so beautiful. 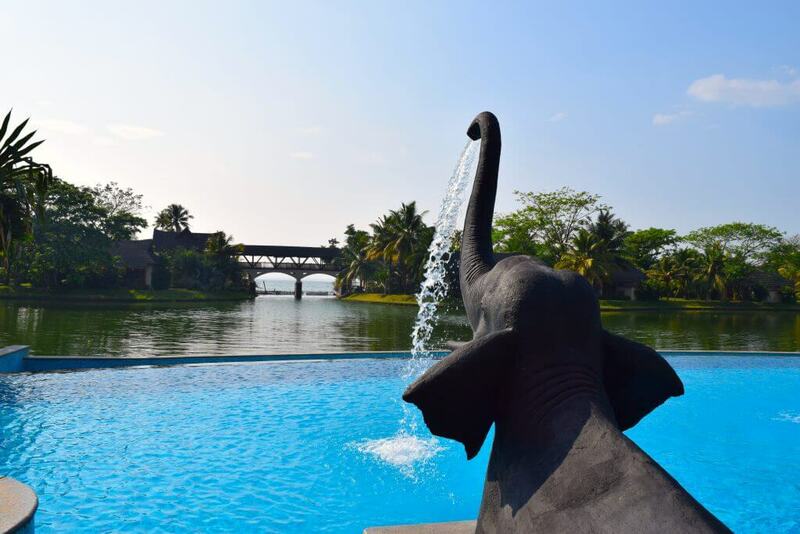 The elephant fountains at Zuri look like a lot of fun–I would love to stay there and swim with them!